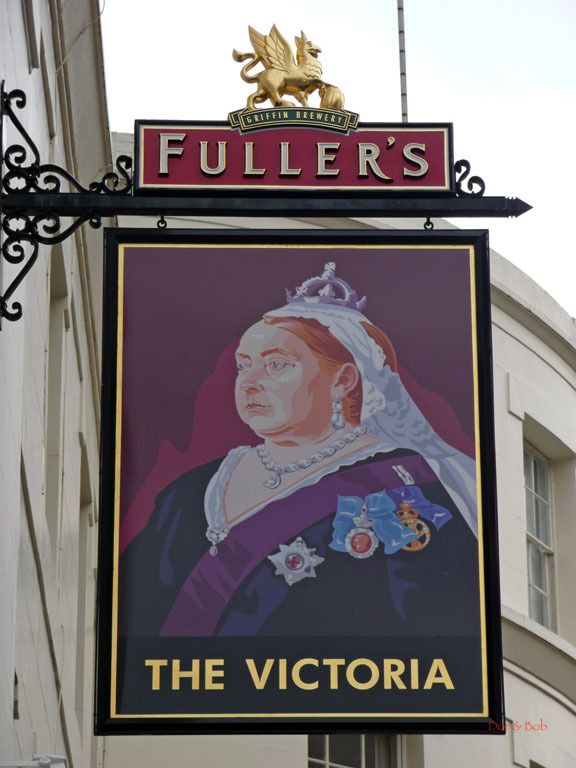 The Victoria is another great small Victorian-era pub. It sits on a corner and has outdoor seating on both sides (with intriguing outdoor heaters that consist of a tall flame surrounded by a metal cage). 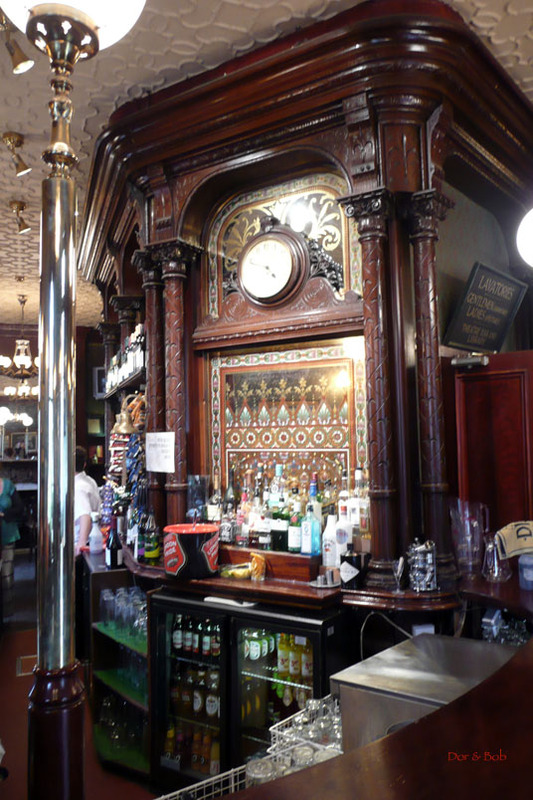 Inside, a long dark wood bar with stools fills most of the space. The bar back is fantastic. Itâ€™s made of dark carved wood and mirrors, some with gilded decorations and others with complex painted designs in bright varied colors. Heavy black and red curtains edge and top each frosted/etched glass window and there are cream-colored embossed tall ceilings. 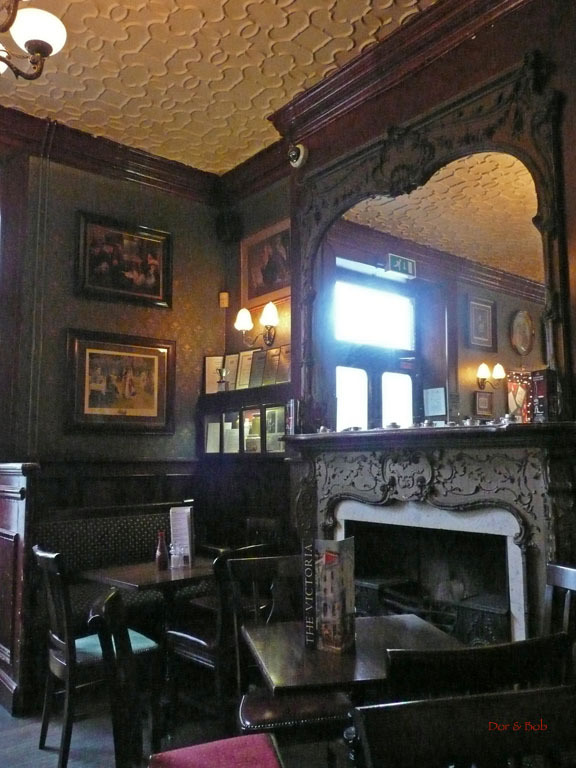 At one end of the pub there is a coal burning fireplace with an elaborate carved and gilded wood surround and mantle that is topped by a print of young Queen Victoria, Prince Albert and four of their young children. 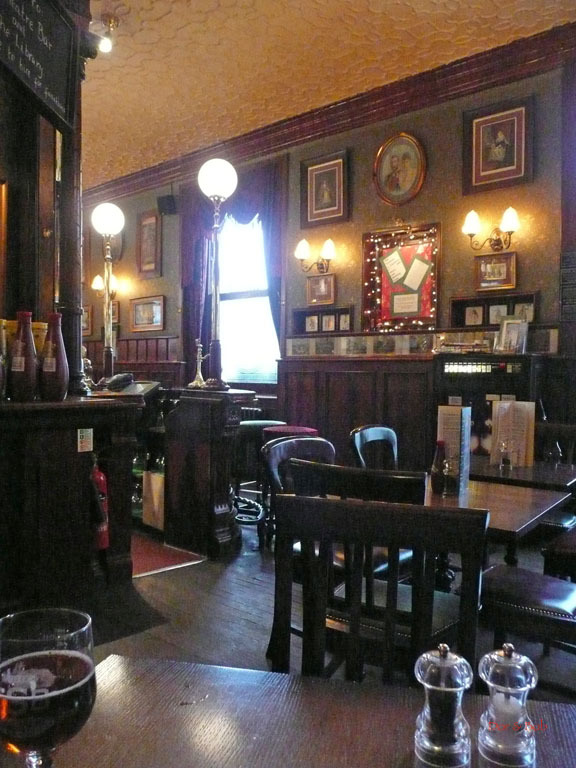 Other Victorian decorations are various prints and a set of moralistic ceramic tiles. 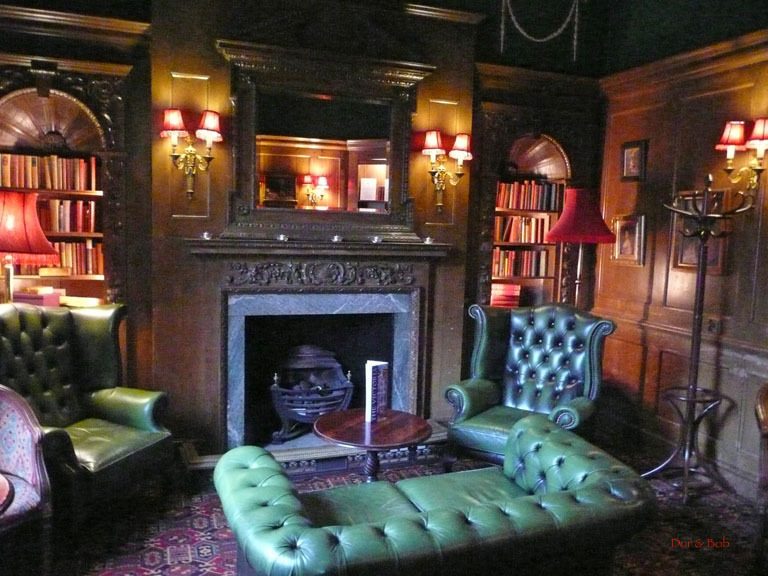 There are another two rooms upstairs, one of which is a cozy space with a fireplace and tufted padded green leather chairs and couches. 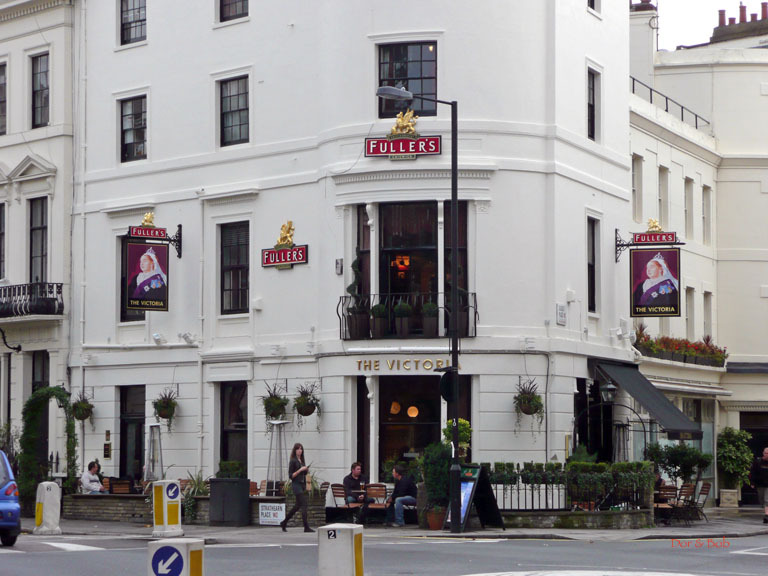 There are 3 Fullerâ€™s real ales to choose from. On our first visit, these were ESB, London Pride, and Chiswick Bitter. On our second, the last was replaced by Red Fox Autumn Ale.